It has been nearly two decades since Capt. 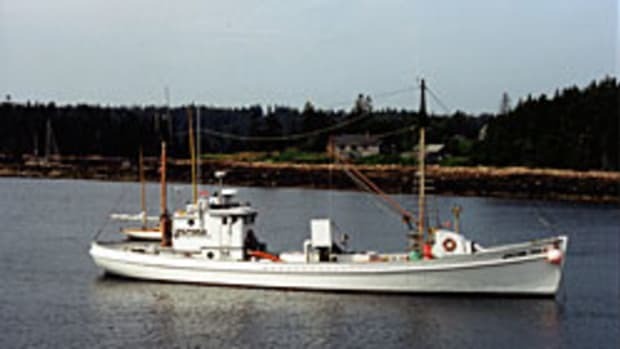 Ed Farley drove to a lumberyard and selected a pine pole to craft into a mast for his skipjack, the H.M. Kretz. Weeks earlier, he and Erich Burkentine had walked through these woods looking for the perfect tree. Burkentine, southern regional forester with the state Department of Agriculture, said the tree had to be rod straight and free of limbs 60 feet up. And it had to be big. The two men found just what they were looking for in the forest&apos;s 2,150-acre Jester Tract.